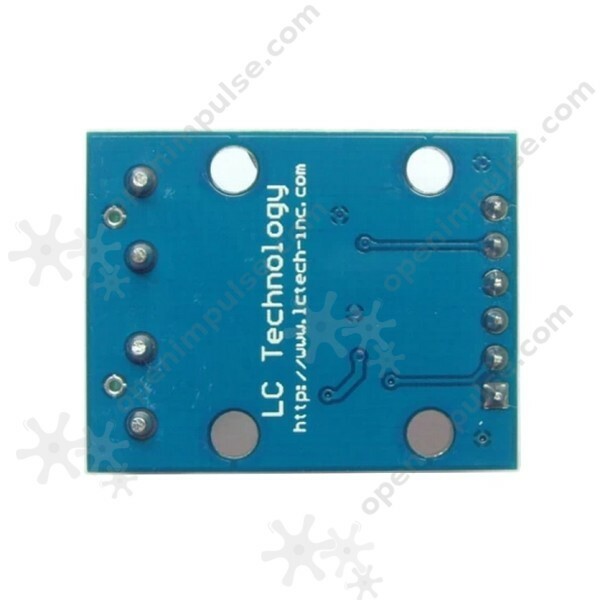 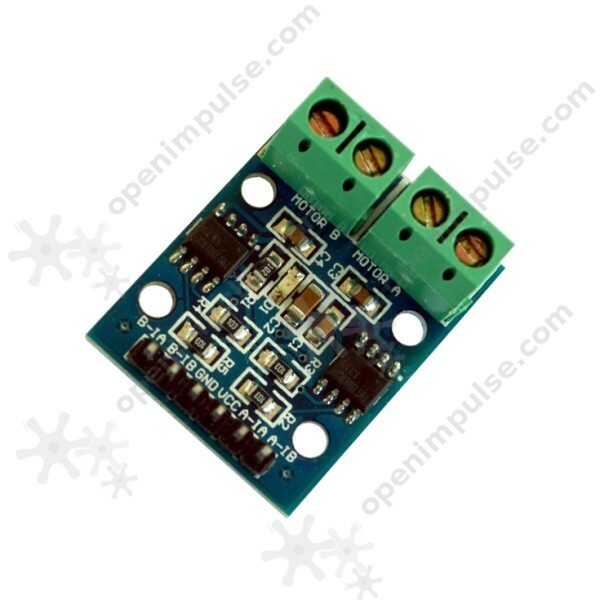 The L9110 dual channel motor driver module is a compact board that can be used to drive very small robots. 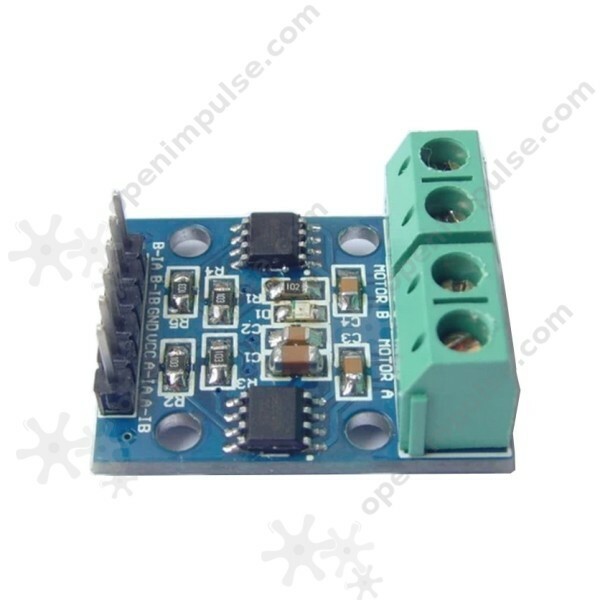 This device can drive two DC motors simultaneously, or a 4-wire 2-phase stepper motor. 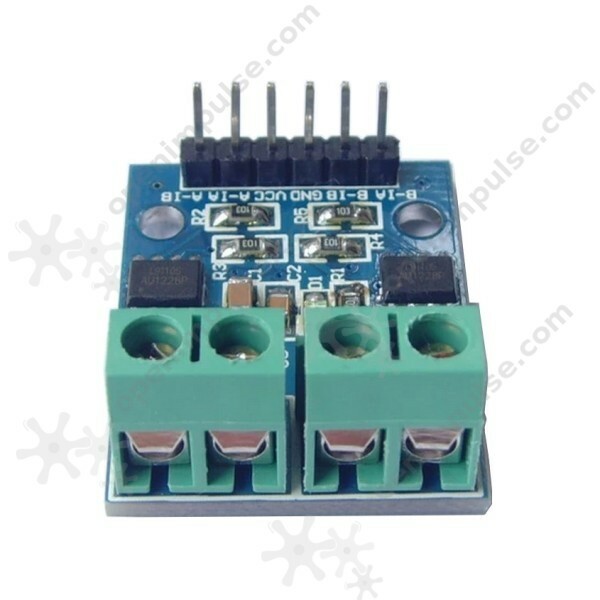 The L9110 dual channel motor driver module can be operated from 2.5 V to 12 V which enables it to be used both with 3.3 V and 5 V microcontrollers. 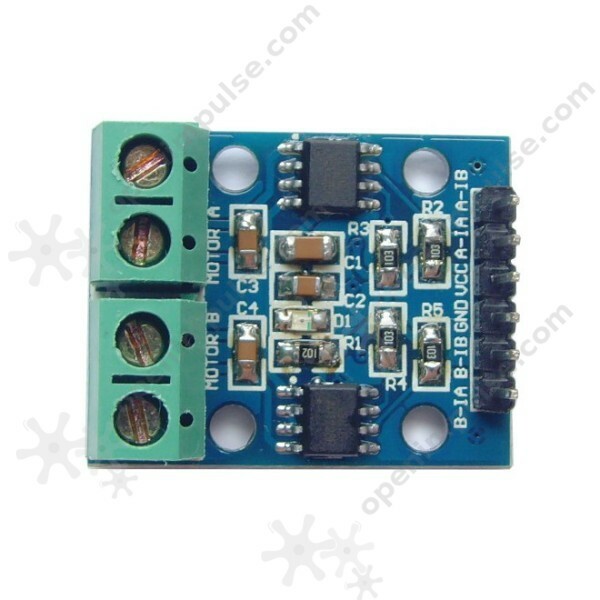 This board contains two independent chips which can each drive up 800 mA of continuous current. This board has four holes designed for easy mounting.